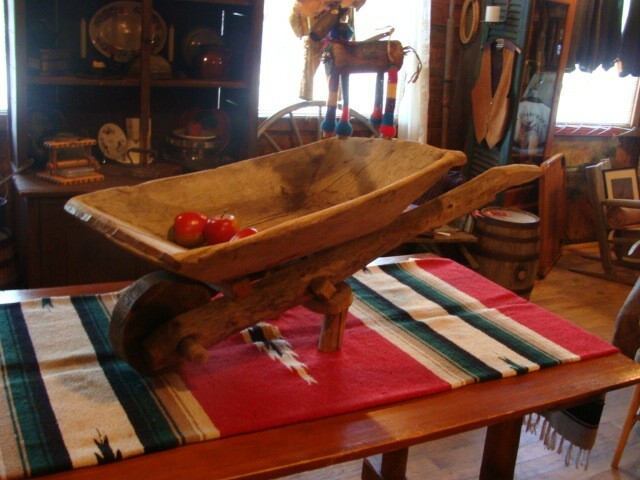 A 120 year old Bread Bowl attached to a old Mexican wheel barrel...Great to display fruit or vegetables or put on a picnic table filled with ice to keep drinks cold. Please email cowboyron@cowboycabin.comwith questions or call 406 270-2842. A 120 year old Bread Bowl attached to a old Mexican wheel barrel...Great to display fruit or vegetables or put on a picnic table filled with ice to keep drinks cold. Please email cowboyron@cowboycabin.com with questions or call 406 270-2842.